Last night I had a bit of time and figured why not check out a movie? For a second I thought about seeing if Fantastic Four is ‘that bad’ but just couldn’t bring myself to do it. I looked to see if there was anything else with actual good reviews I could see (I’m thinking about going out of my comfort zone and seeing The Gift but wasn’t ready yet). Then I noticed at the cheap movie theater I’ll See You in My Dreams was playing. This was a movie that I noticed at my local independent theater a few months ago and I thought it looked good. Then I saw it had good reviews (94% on RT) so I figured let’s give it a shot and I’m glad I did. 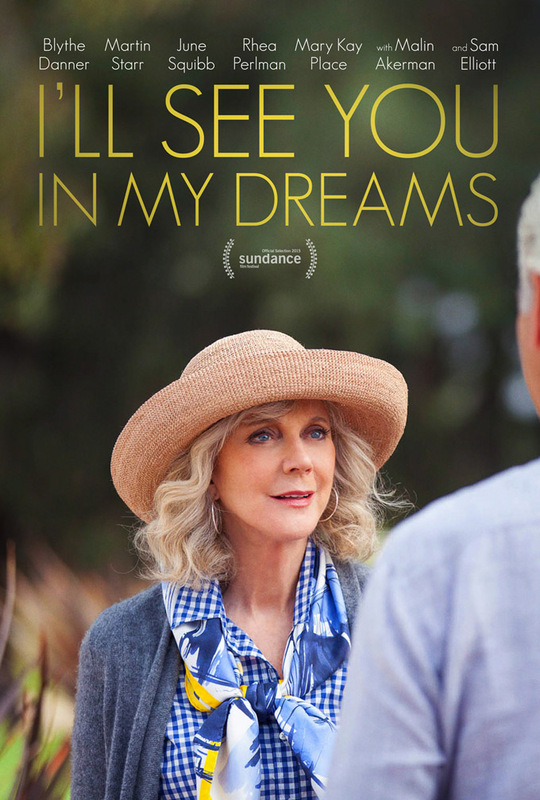 In many ways I’ll See You in My Dreams is similar to Second Best Marigold Hotel with both featuring senior citizens trying to live vibrant lives. They both explore themes of love, friendship, death and of course aging. I liked the overall experience of Marigold a little bit better because it is more joyful and there are more characters to bounce off of, but I’ll See You in My Dreams definitely has better writing and characters. So perhaps it would really depend on my mood? Either way I’m glad movies are being made with an older audience in mind ( I would group Mr Holmes in that demographic as well for 2015 releases). 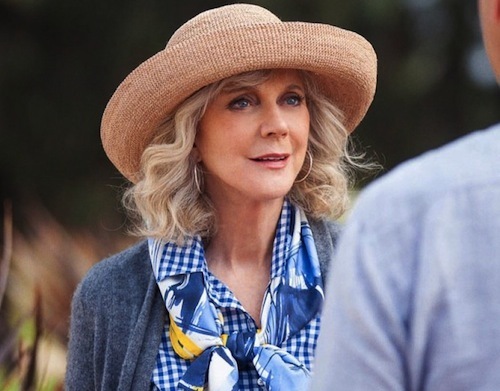 I’ll See You in My Dreams stars Blythe Danner as a woman who has been alone for decades after her husband died in a car crash in 1994. But fortunately she has his life insurance and other income to live comfortably. 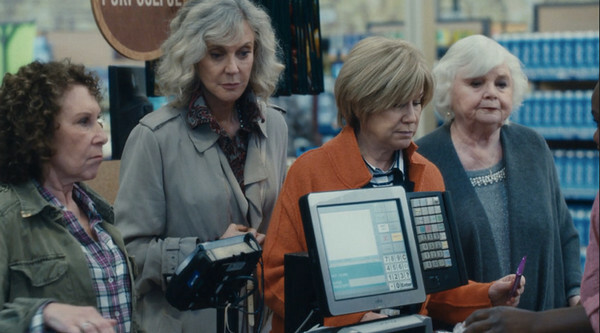 She also has a group of girlfriends played delightfully by June Squibb, Rhea Perlman and Mary Kay Place (I hope I have friends like that when I’m older!). This is one of those movies I love that feels very ordinary. It’s just about this woman’s life- her friends, losses, conversations etc. It opens with a death that will make even the most hardened tear up but Carol doesn’t really absorb it or respond to it and that bothers her. She also seems to be a bit of an alcoholic- medicating her loneliness with wine and other spirits. She eventually is so lonely she starts up a friendship with Lloyd played by Martin Starr who cleans her pool. This could have been groan inducing but it is actually a sweet friendship (and that’s it. No romance!). The dialogue in their scenes is particularly strong. It felt almost like watching a good Broadway play. He convinces Carol to go to the karaoke bar and sing and it turns out she has a great voice. There is something a little bit sad about that, and it seems like she senses the missed opportunity which is her life. (The movie really is quite tragic in a way). 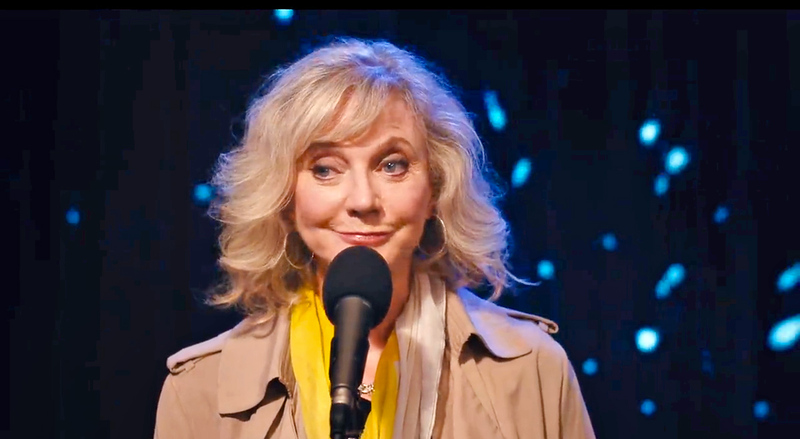 There is also a lot of comedy with Carol going to a speed dating session and another hilarious segment when the cops pull the ladies over when they are a little bit tipsy from medical marijuana. 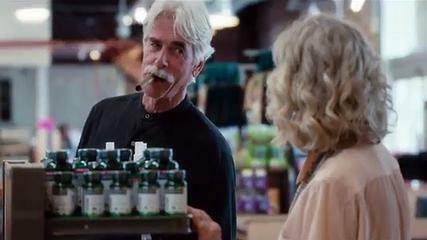 Then midway in the movie we meet Bill played by Sam Elliot. He is a gold old boy Texan who is never without his unlit cigar. Elliot is charming in the role but I never felt like him and Danner had much chemistry. I didn’t buy her being attracted to someone like him. 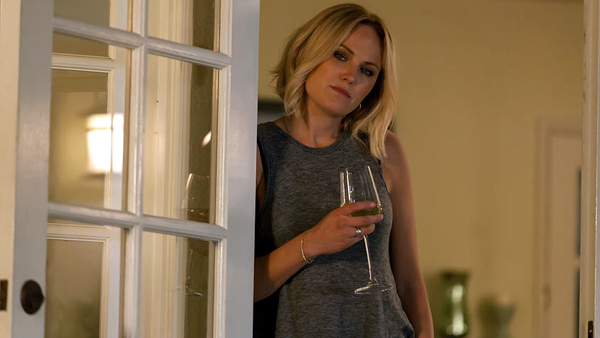 But without spoiling it a tragedy does occur and I loved Carol’s interaction with her daughter played by Malin Akerman. They did have chemistry and it was interesting Carol seemed disappointed with her daughter but it is never quite sure why. Perhaps it is because she is single and never gave her any grandchildren? I’m not sure but I found the relationship compelling. In many ways watching Carol reminded me a lot of my Grandma who is still with us but unable to carry on the kind of relationship we once had, which makes me sad. I found myself feeling a little bit depressed at scenes because I miss talking to my Grandma and the way our friendship used to be. I’ll See You in My Dreams is not a movie that will change your life but I liked spending 92 minutes with these people. They felt like real people I could relate too and care about. The dialogue was particularly strong from director and screenwriter Brett Haley. This is coming out on blu-ray and Itunes soon so if you missed it I’d say it is definitely worth a rental. Especially if you can get your Mom or Grandma together and have a movie night you will have a cry together and enjoy the film. Also this may be the last movie I will see in current day where a character doesn’t have a cell phone but does have one of those old school answering machines. There is 1 f word, some vulgar language, drug use for humor, death of animal shown, and some sensuality mostly off screen. I never even heard of this one. 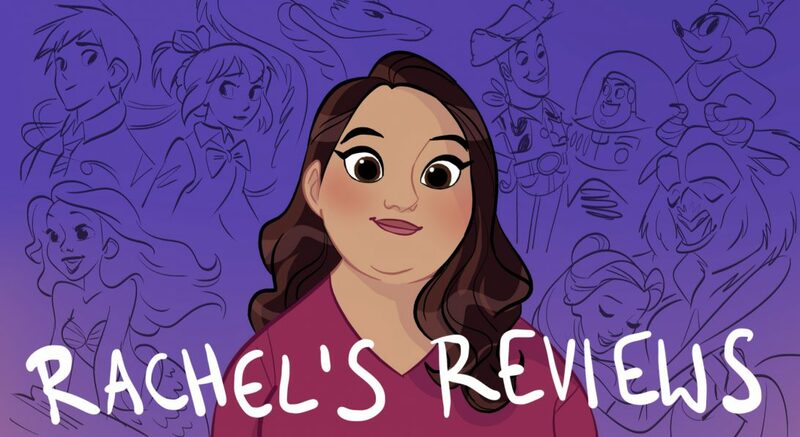 Pingback: Book Club Review – Reviewing All 56 Disney Animated Films And More!